It's not really because I'm some groupie. Sure, Nick is a friend I've been drunk with before. Sure, his ex was my neighbor for a time. Sure, I slept in Tommy Chuck's guest room --- where he entertained some chick and she left the shoes under the bed which were - well - still there months afterward. Sure, we had 'em at HOT for a LBD a year ago. ... and it's not because they've had a career that has paralleled mine. It's because they're a group of talented people who have persevered. They haven't tried to be N*SYNC. They've not tried to be Justin Timberlake. They've been true to themselves and to their music, and to me, that makes them real artists. They've had issues. They've had ups and downs, solo careers and softer cd's in the eyes of the critics. But they've stayed true to themselves. Can we say the same thing? Can other artists say the same thing? Never Gone was probably one of the best CD's from beginning to end I've ever heard. And I heard it a ton driving back and forth from Columbia, SC to Raleigh, NC to see the poster girl I was dating at the time. Unbreakable was an awesome CD with some songs that - well - connected with me at a time when I was with someone who made me 'helpless' when she smiled. I remember seeing Nick for the first time in - well - a year or so in Myrtle on the Never Gone club tour and he walked up to me like we were still in Tampa and was like "what are the BUCS gonna do this year..."
A real person. Despite what the tabloids might have wanted us to believe. I won't judge him. What gives me the right? It was like the time when Willa and I... and NICK... sat down in Vegas and had a great time on the air live from the Radio Music Awards... right before he and I had lunch at some store in the then Paris Hotel (now Planet Hollywood) Galleria. And so, that's why I support the Backstreet Boys. ... and If I'm wrong, I'll buy us all dinner at Sonic. im not a close friend but im agree with you in so parts lol, haa yes keep being those simple guys who loves music and wanna make some goos melodies, you touch me!!! You are an amazing person Toby!!! 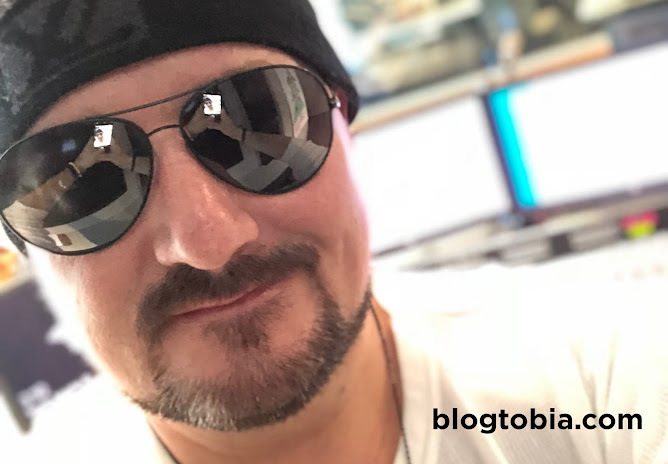 Thank you for sharing this blog with us BSB fans and those who may not be fans. The Boys truly have stood the test of time and the world needs to realize that they are here to stay. It´s like you wrote down my thoughts. Hope we´re getting another touching album in October from those amazing guys. Great blog Toby and I love what you said about the boys staying true to themselves and they have they haven't tried to be anyone other than them when making music and they're human they don't try to act any other way,they are humble guys and they love what they do. Your very sweet to write this blog about them and I can say thanks for caring so much for the boys and playing their music,I think the other dj's need a lesson in being nice like you and not judging them.I am a very loyal person to and I can relate to that. Your awesome and thanks again. Your very sweet to write this blog about them and I can say thanks for caring so much for the boys and playing their music,I think the other dj's need a lesson in being nice like you and not judging them. I love the BSB!!! And yeah, they've stayed true to themselves all this time. If more people looked at music this way (no matter the genre) maybe the business would be in better shape. It's nice to see an intelligent review of a band based solely on their merit. Wow, that gave me the goosebumps, seriously. I'm a huge BSB fan, been one for almost 13 years now and damn proud of that. It's a shame that the music industry don't give them the props they deserve, they've been out there for 16 years, that says something to me. Real talent. really talented, that's what they are. Toby youre the coolest person ever!! you stick up for what you like and you dont care what any1 thinks, thats awesome!! BSB is true good music and you know that. :) KTBSPA toby! I know you don't know me but I must say what a great thing it is for you to say about BSB. I'm glad you've stuck up for the guys, good to see you see decent music by a decent group of guys for what it is. Great music :) I can't wait for the guys new album and the new single is great, it's DJ's like you that give them a good name but their are others that are complete asses. Stay real mate and say hi to Nick for me from Nick in NZ. Thanks! amen! i agree with you on many points. never gone was an awsome album and so was unbreakable! no doubt! i wish everyone could respect bsb the way you do! You're such a good guy! I remember that moment in Vegas like it was yesterday. Loved your comment about the guys! You're right, they keep it real! They never tried to be something that they don't are. I think that's why, after 13 years, I'm still loyal to them. You forgot to mention the respect that they hv with their fans. I've been in many concerts, and I can say that only a fell them the singer was really singin'! And the BSB do that. They respect the people who buy your stuffs, the people who went to their shows. They got talent, and they know how to use it very well! I'm glad to bump into this kind of things because what you say it's nothing but the truth! Thanks for believing in the Boys as much as I do, Toby! I can say on behalf of all that love them: their music has the power to change lives. It changed mine and inspired me to follow my dreams for a strong career in music over the last 10 years. The Backstreet Pride will always be alive within this USC girl in LA! Keep it alive - the music is real and doesn't lie.